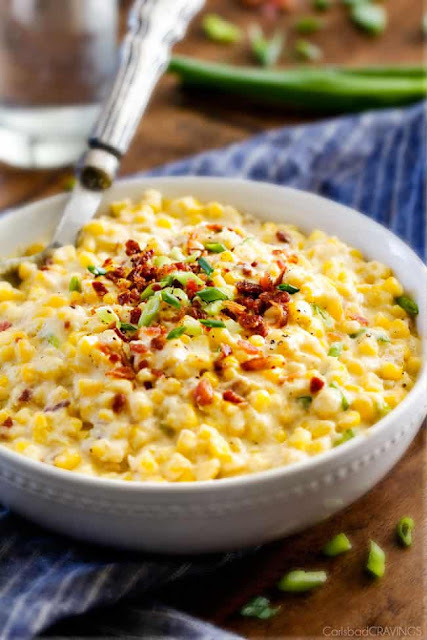 This Slow Cooker Creamed Corn with Ricotta and Bacon has to be the BEST CREAMED CORN I’ve eaten in my entire life! Rich and creamy, seasoned to perfection, SO easy and practically fool proof! This Creamed Corn will be the star of your Thanksgiving feast! 0 Response to "SLOW COOKER CREAMED CORN WITH RICOTTA, ROSEMARY AND BACON "